As you stroll the streets of the East Side, pay attention to the street signs: many of the streets you pass bear witness to some of the significant people and structures that have come and gone, making and remaking the city. Power Street, for example, runs the property line of 17th-century original resident Nicholas Power. 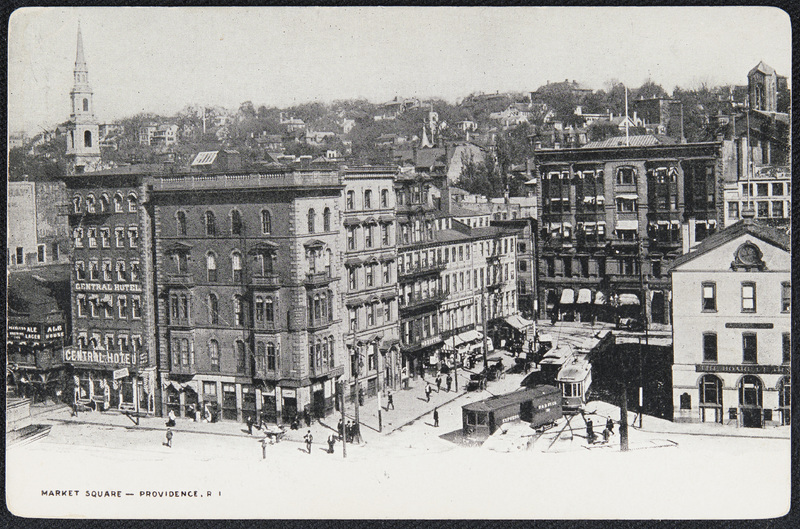 Meeting Street, once known as Gaol Lane, was the site of Providence’s early jail. And Transit and Planet Streets commemorate perhaps the first worldwide scientific collaboration: the 1769 observation of the transit of Venus, organized by Joseph Brown, one of the four prominent Brown brothers of Providence, and an early astronomer and architect. 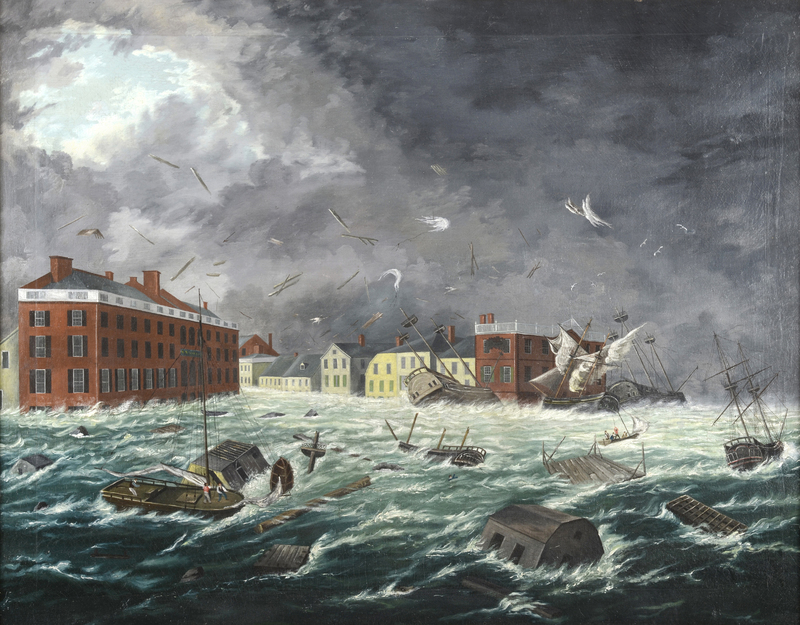 Among these other scientific pursuits, Joseph Brown designed the Market House (1775), which he intended as a magnificent landmark to the wealth of the colonial city at the heart of the bustling waterfront. The ground-level arcades originally provided open stalls for fishmongers, butchers, and produce vendors, while the upper floor housed government functions. A Masonic Hall occupied the third floor, added in 1797. During the 19th century, Market House served as City Hall during a 30-year debate (1845-75) over the construction of a new City Hall. It has housed classrooms for RISD since the 1950s. Market Square, always a site for news, gossip, and shopping, was the site of a colonial tax protest against the British on March 2, 1775 when the people of Providence burned tea. On September 7, 1897, Emma Goldman, a noted anarchist and feminist, was arrested for unlawful “open air speaking” and charged with attracting a crowd in Market Square. Nowadays you are more likely to encounter a RISD student’s art installation. 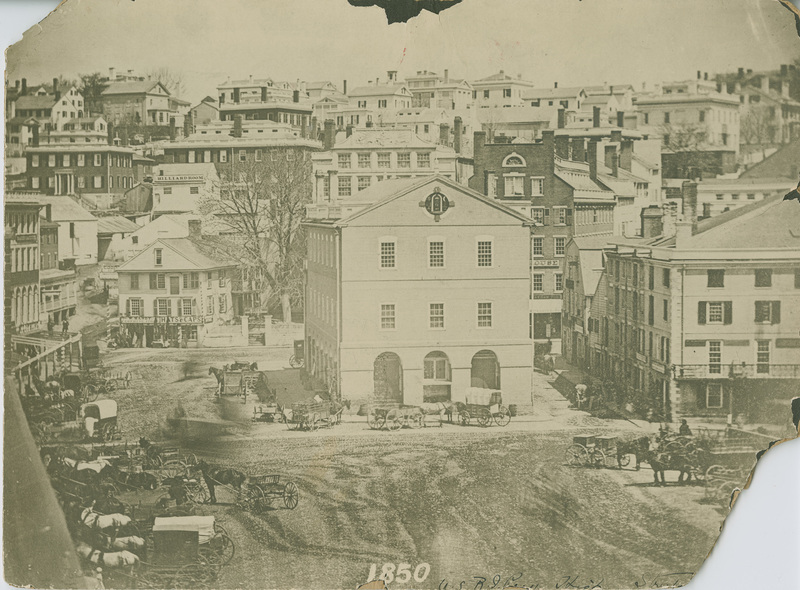 Market House 1850: This photograph shows the varied opportunities available for entertainment and commerce in and around Market Square in 1850. Horse-drawn carts with produce and goods come and go from the Market House; “hats & caps” are for sale at W. H. Handy's clothing store on the north-east end of the Square; and a billboard beyond Handy's advertises a billiard room. Funds for infrastructure were often raised via a lottery system during the colonial period. In 1771, a lottery helped raise the $4,500.00 needed to start construction on the Market House. You can see how far the water level has risen during various floods, including nearly twelve feet during the Great Gale of 1815, on a plaque along the southern wall of the Market House. Elyssa Tardif, “Market Square and the Market House,” Rhode Tour, accessed April 21, 2019, http://rhodetour.org/items/show/187.